If you are an active family who loves nothing more than exploring the great outdoors on your holidays together, Costa Vicentina in Portugal could be the ideal destination for you to choose for your next break. This section of the Portuguese coast is undeveloped, which means there’s lots of beautiful scenery and fascinating nature to see. One of the best ways to discover the Costa Vicentina is on foot, so this might be a trip more suited to older children and teenagers, rather than toddlers. Here’s a brief overview of what you can expect in the region. Many companies offer itineraries that are ideal if you want to get out and about and explore the area and they’ll take away all the stress of having to organize the finer points of your getaway. 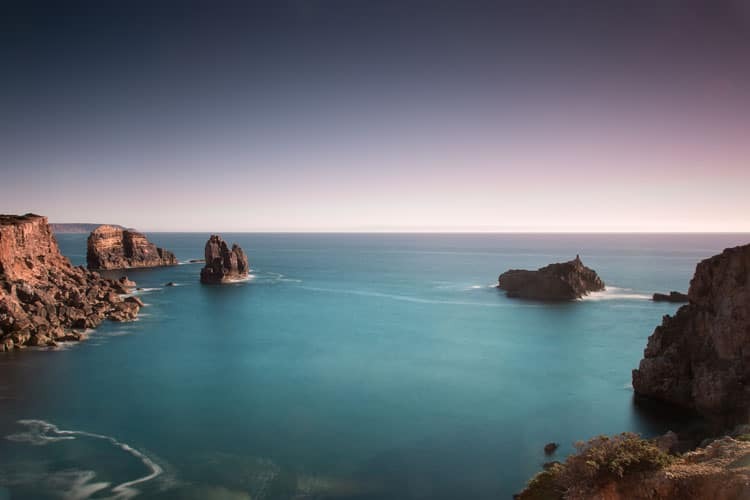 Costa Vicentina is the largest coastal natural park in Europe and it covers more than 60-miles of Portugal’s coast, beginning at Porto Covo in the Alentejo all the way to Burgau in the Algarve. It’s a beautiful 2-hour and 45-minute drive from Lisbon (take the A2 to E1 to A26 highways – note there are tolls on this road, so if you are renting a car make sure it has a toll pass!). In total, the reserve spans an area of 290 square miles and it’s home to some amazing wildlife, which is one of many reasons why it’s a great place to travel to with children, as there will always be something exciting for them to look out for. 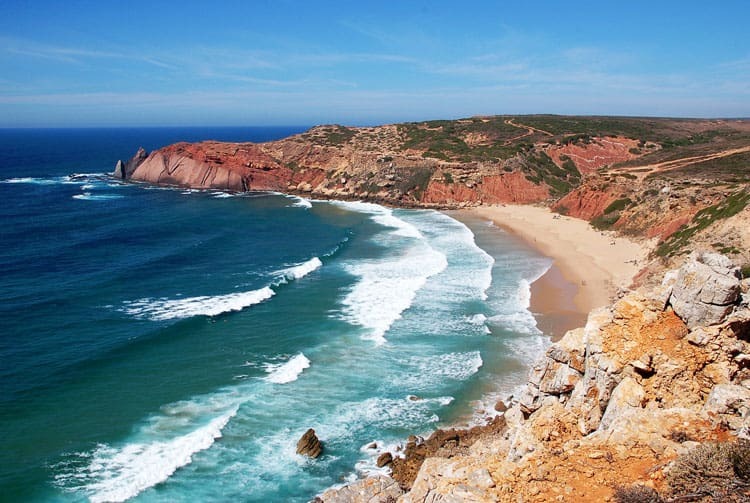 The scenery of Costa Vicentina is characterized by rugged, sheer cliffs and some spectacular stretches of sand, most of which are completely deserted. Several of the beaches are backed by vast dunes, while there are also river estuaries and wetland areas you can explore in search of a host of water birds. If you start your holiday in Porto Covo, you can experience one of the region’s pristine beaches straight away. 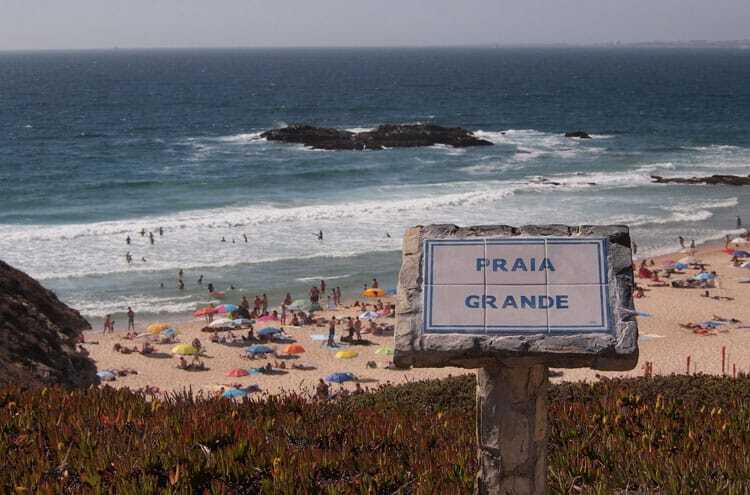 Head to Praia Grande Porto Covo, where you’ll be greeted by a sheltered stretch of golden sand lapped by clear waters. It’s not so deserted (as you can see from the photo above) but it is a great beach. Should you want to have a day at the beach with the children, this is a good spot to choose, as it’s close enough to the town that you’ll have a host of amenities at hand, including showers, restrooms, and restaurants. Aside from the amazing vistas, you can enjoy as you walk, you can spot a host of exciting creatures, too. 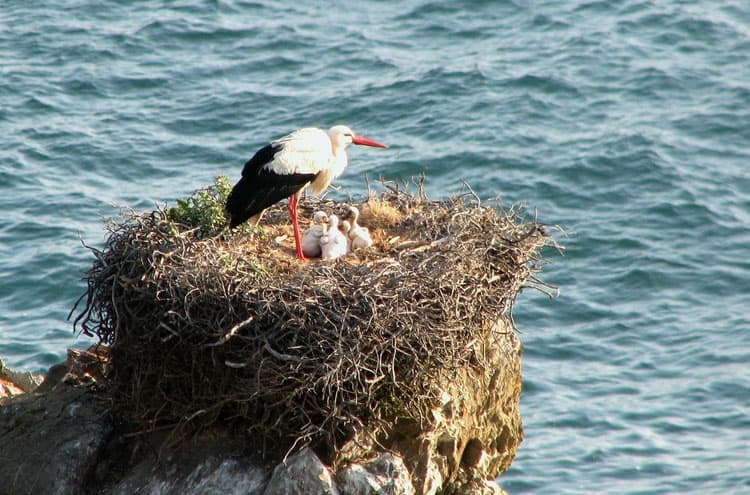 There is a wide selection of bird life that inhabits the Costa Vicentina, with the white storks among the most famous residents. This is the only place in the world where you can see these birds building their nests on the cliffs by the seashore (spring is the time of year to travel if you want to view this spectacle), so keep your eyes peeled for these distinctive animals. Other birds you can spot as you wander include herons, egrets, rock pigeons, diver kings, sparrow hawks, and nightingales, depending on the routes you follow, so it’s always worth turning your gaze to the skies every now and again. Look out over the beaches and rocks, meanwhile, and you might be lucky enough to spot an elusive otter, as this is one of the few places in Europe where they live in the sea, while turtles can also be seen in the waters off the coast. You may not be aware of this unless you are into the sport or live in Europe, but Portugal is well known for its surfing. The kids can play at the beach why Mom or Dad learn how to surf! If you already know hot to surf, here’s a great map of spots along Costa Vicentina. Another idea to save for an adult-only trip is to visit the coast by bike. There are a lot of great tours set up for that as well. 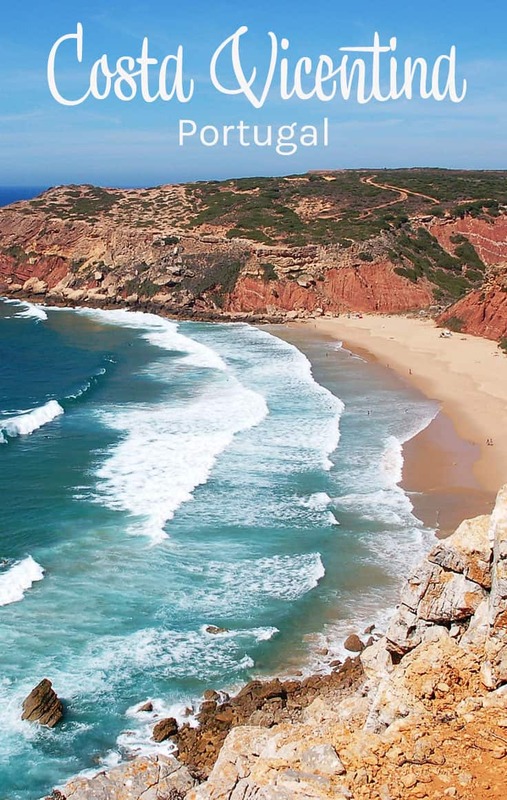 With all this to enjoy, as well as the fun of walking from hotel to hotel, Costa Vicentina is a great option if you’re looking for an alternative family getaway that’s off the beaten track. How about you? Have you been to this area of Portugal? Have any tips to add? Portugal is one of my all-time favorite vacation spots, and I will be back there in May (though sadly only for one short day in Lisboa!). @Kristen, I have only driven by Lisbon on our way to Cascais on the coast and I have been to the Azores where my grandparents immigrated from. I have seen some amazing photos as of late from Lisbon and would love to go. I am hoping for a west coast trip > Lisbon, Bilbao and Biarritz in the not to distant future. In my opinion one of the best, most natural and beautiful areas in Europe.